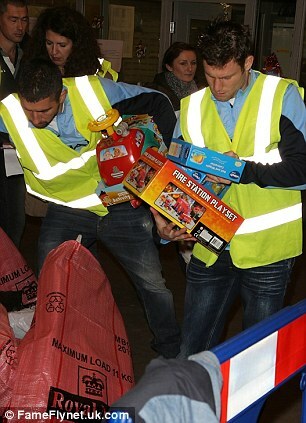 So, what are City stars Milner and Kolarov doing packing Christmas presents in a warehouse? Aleksandar Kolarov and James Milner took some time out of their busy training schedule to prepare for Christmas. But the Manchester City duo weren’t doing their last-minute shopping in the city-centre Harvey Nichols or Selfridges stores, they were packing gifts for under-privileged children in the local area. Kolarov and Milner lent a helping hand to the Key 103 Mission Christmas appeal by preparing some toys to send to the 150,000 children in Manchester in poverty. 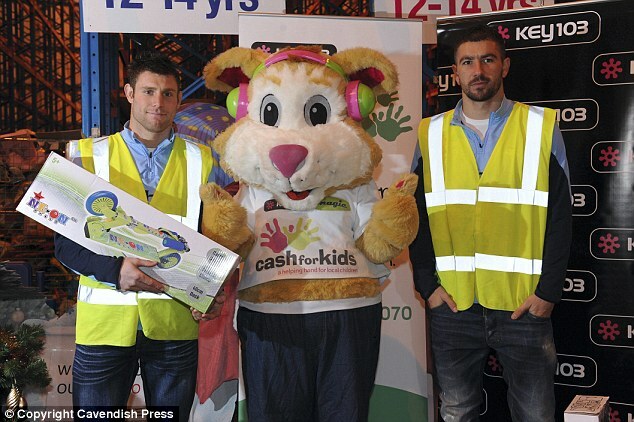 The City stars, who netted a goal a piece in their 3-2 victory over Bayern Munich earlier this month, donned high-vis vests in a warehouse and packed some toys into bags for the children. Kolarov, who also struck a belter in City’s Capital One Cup win over Leicester on Tuesday night, was also featured on the club website’s daily Advent Calendar video series on Thursday. The worrying thing for the goalkeeper warming up with Kolarov was that it wasn’t even his turn to shoot. The former Lazio man took it upon himself to lash home the rebound of one of his team-mates. A statement on Key 103’s website about the Christmas Mission, in partnership with Hamleys, reads: ‘We want to raise £1million worth of toys. Please just buy one extra present this year – a gift that will make Christmas 2013 for a child living in poverty. We’re looking for new and unwrapped gifts suitable for babies, toddlers, children and teenagers aged 0 to 18 years, and you can donate at one of our drop-off points listed below.